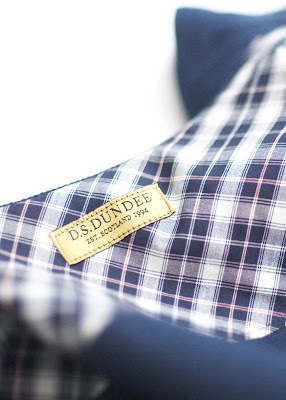 In keeping with the signature use of tweed, D.S. 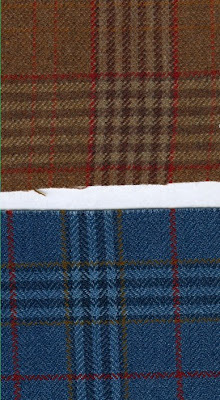 Dundee has cut a beautiful Harrington jacket and will be offering it in an real indigo check cotton tweed (exquisite & extremely limited edition) plus a lightweight rustic Saxony tweed - swatch samples seen above. 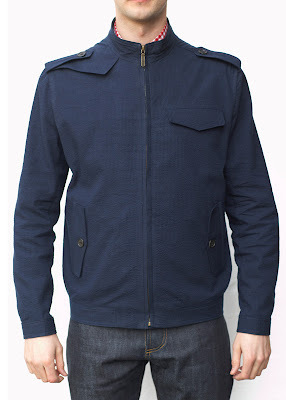 Pictured is said jacket in option 3 which is a British Colonial Classic navy seersucker fabric, slightly more conservative but dapper nonetheless. Take a stroll over to D.S. Dundee and have a look. The Harrington Jacket is from their SS09 collection.